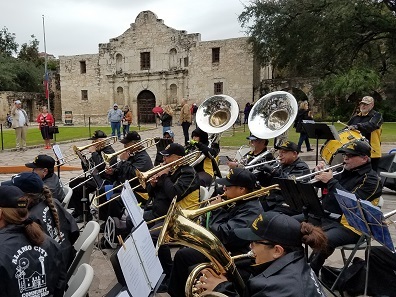 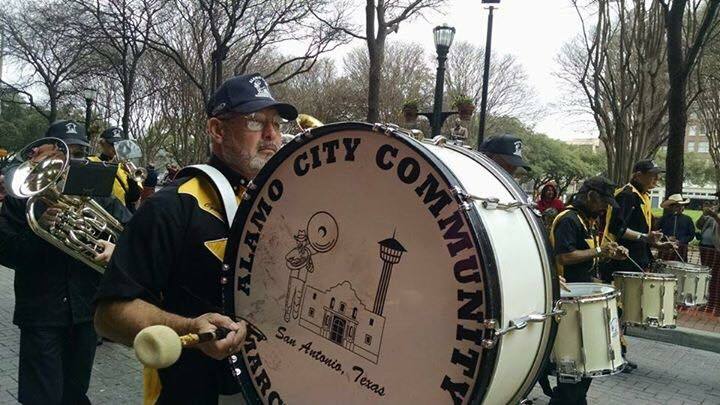 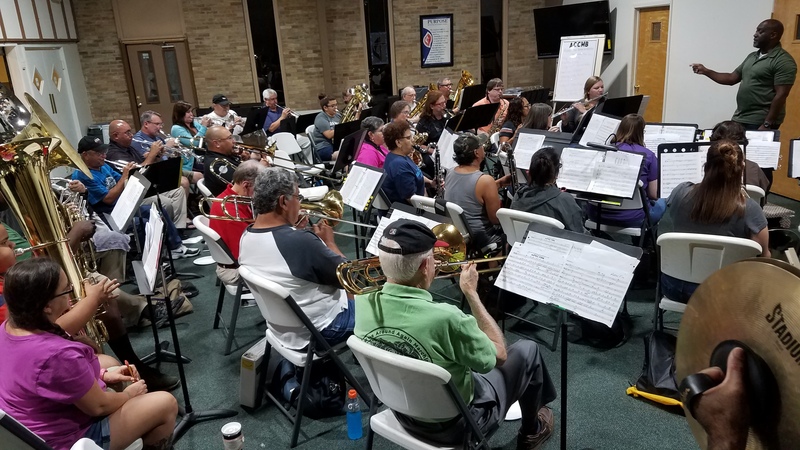 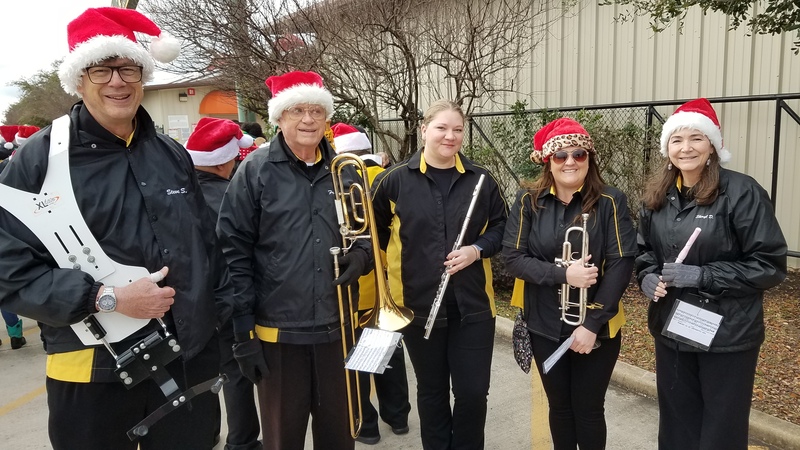 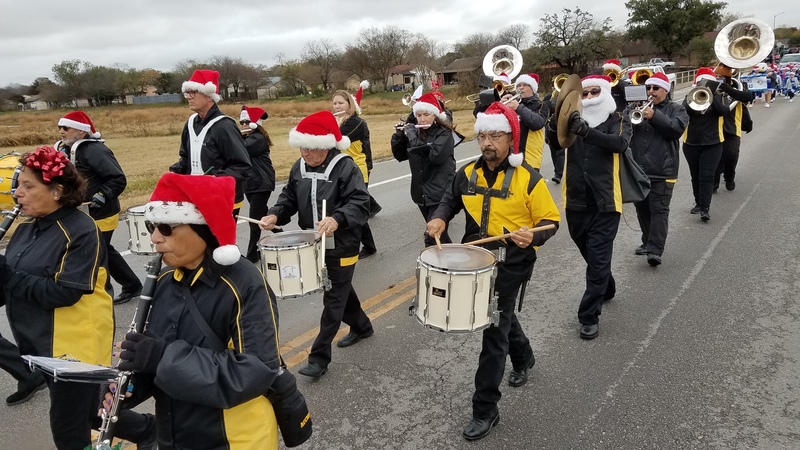 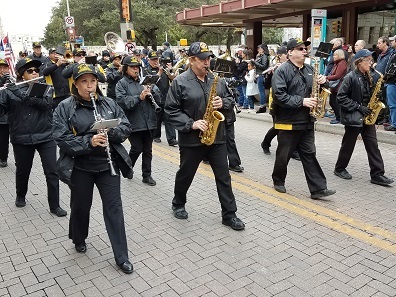 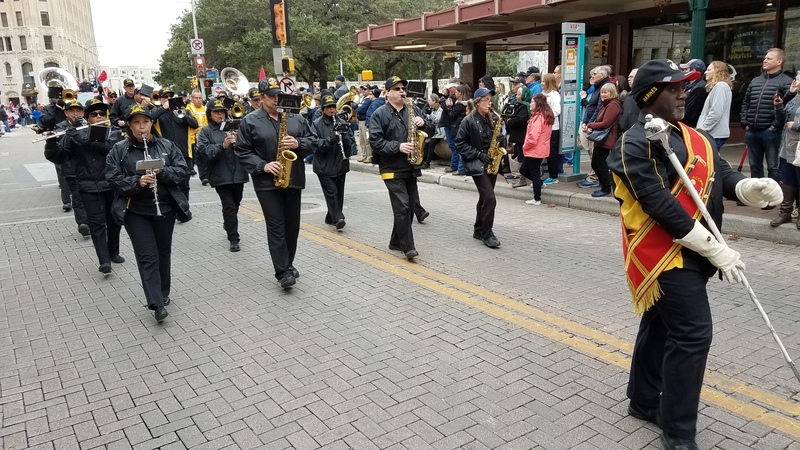 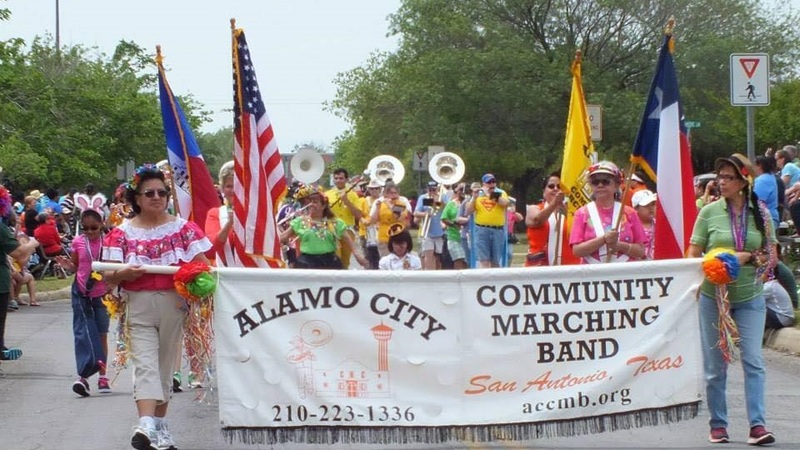 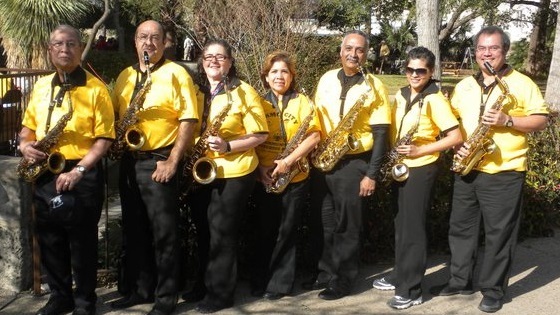 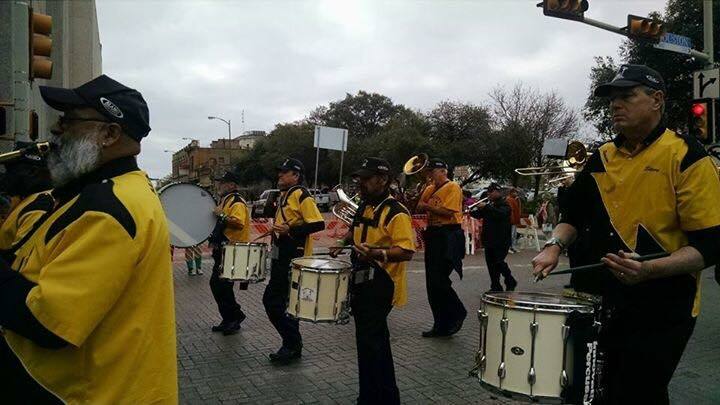 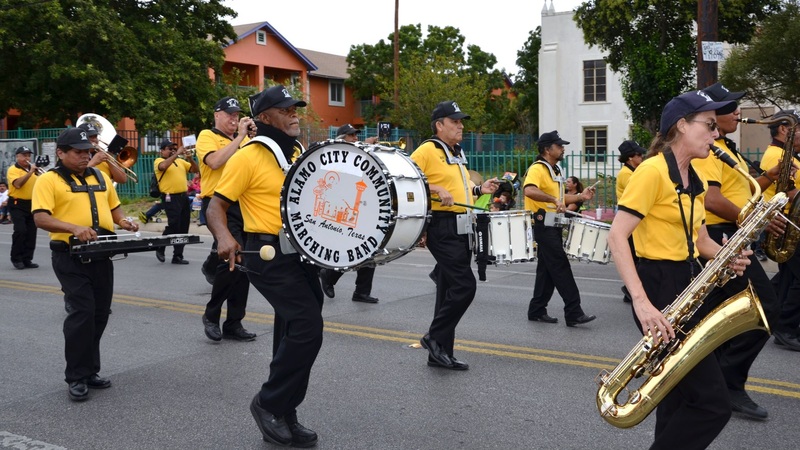 Alamo City Community Marching Band is the original San Antonio marching band, composed of adult volunteers from all walks of life, who are dedicated to using their musical talents to bring joy and happiness to all. 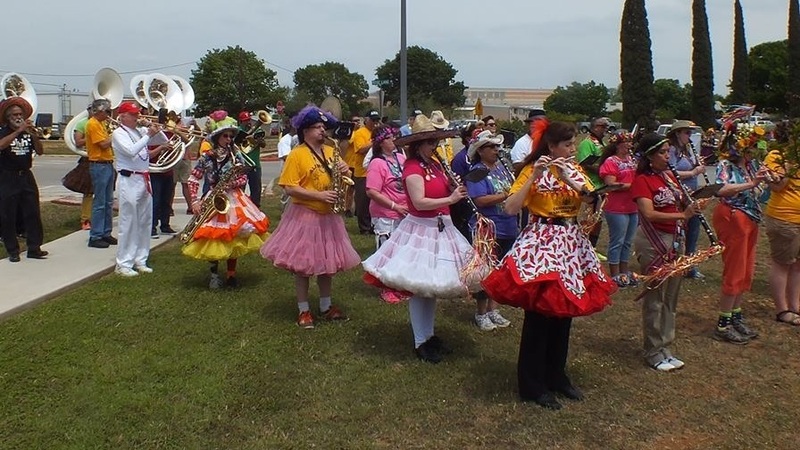 located at 9739 Huebner Road. 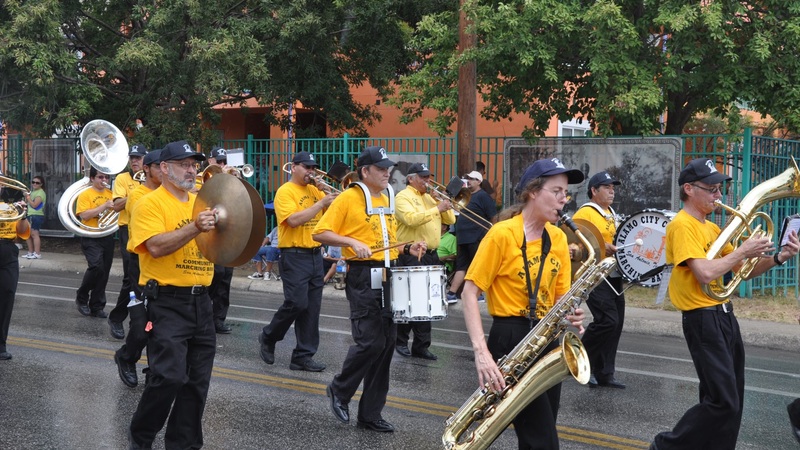 Schedule a concert or a parade! 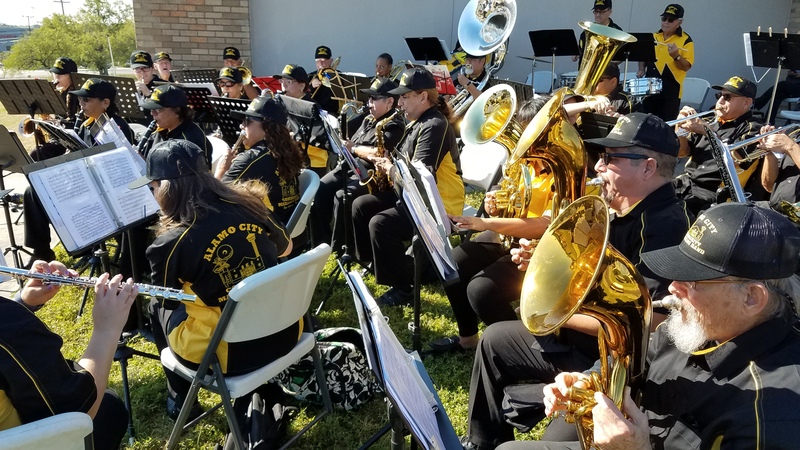 Wednesday, April 24th at Fiesta Medal Love 2 @ Pica Pica, 4pm-7pm, 910 S.E. 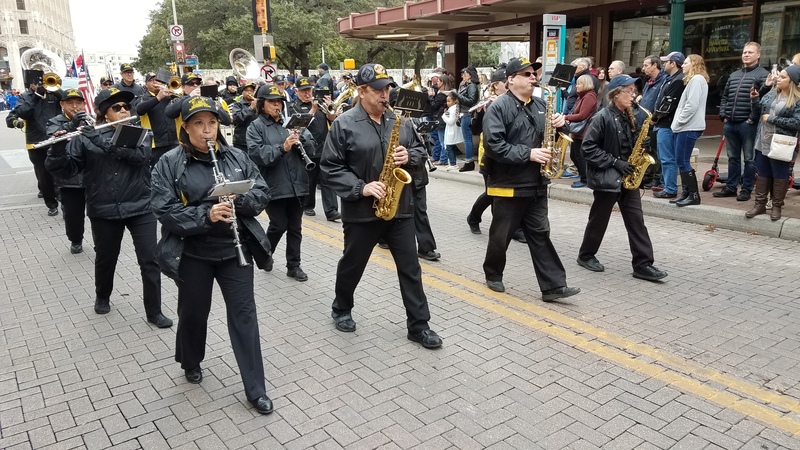 Military Dr. 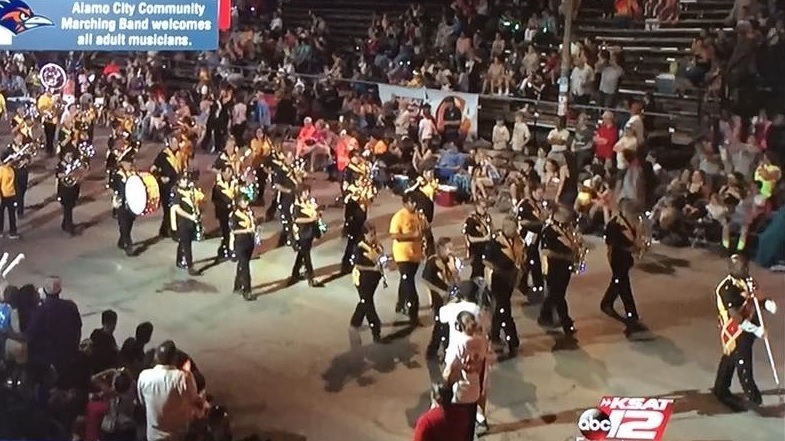 The two 2019 medals have a tuba player that marches across the medal; also they glow in the dark! 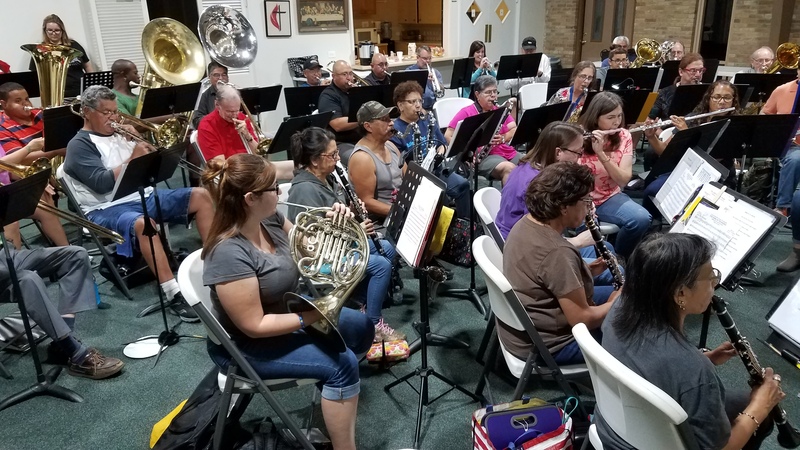 ACCMB's 2019 Fiesta medal wins Music category of Express-News contest! 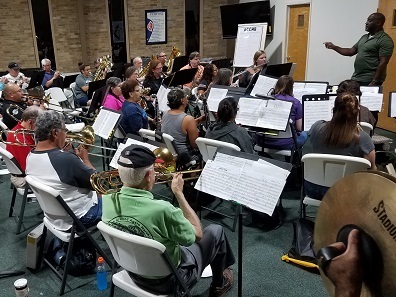 ACCMB marching to "The Standard of St. George"
"Ancient and Honorable Artillery Company"
ACCMB performing "Rock Around the Clock"
ACCMB performing "Washington Post March"
ACCMB rehearsing "H. M. Jollies"
ACCMB rehearsing "When The Stars Began To Fall"
Every Monday night, ACCMB rehearses from 7:00 to 9:00 p.m.
at Oxford United Methodist Church, located at 9739 Huebner Road. 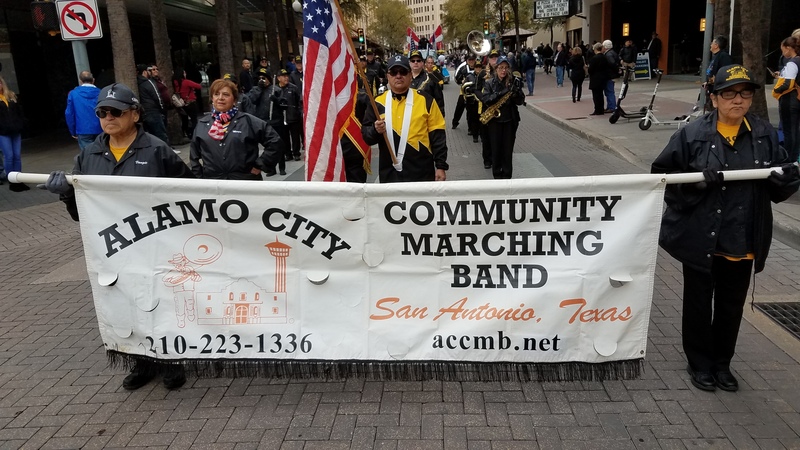 On December 18, ACCMB was presented the 2018 "Best Band Award" trophy by Mr. Mike Mendez, President of the U.S. Veterans Parade Association. 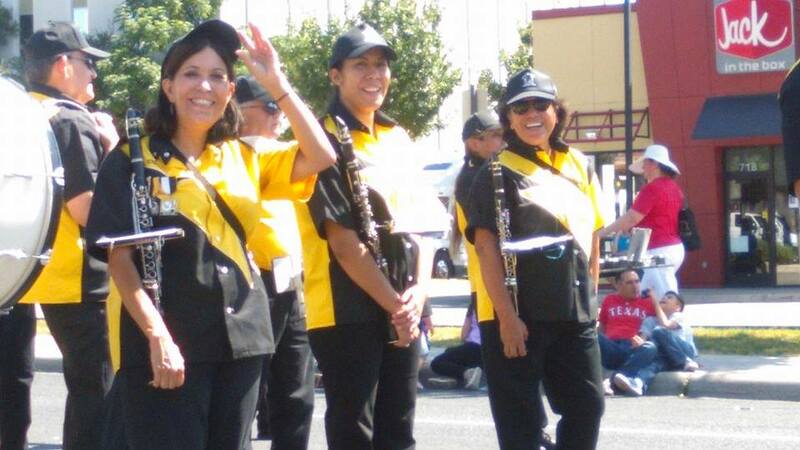 The award was accepted by ACCMB President, Debbie Gutierrez, with other members of the band present: Linda Arcos, Rose Martinez, Mary Jane Ortiz, and Miguel Ortiz. 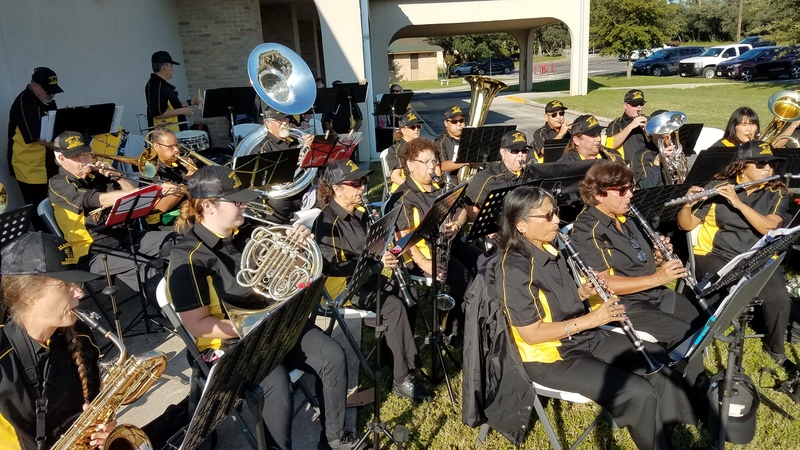 The U.S. Veterans Parade Celebration night was filled with award presentations, music, entertainment, food, raffles and fun. 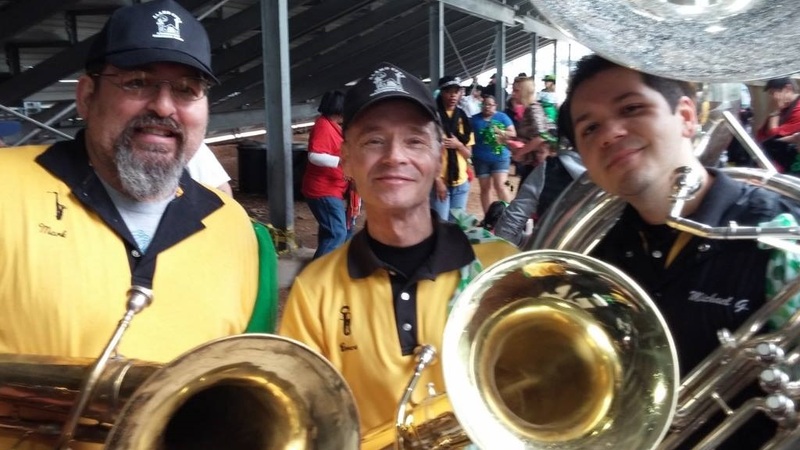 DONATE TO ACCMB BY USING "GIVING ASSISTANT"
By signing-up free with Giving Assistant, you can save money and donate "cash back" to ACCMB when you make purchases online.